In April 1945, Hitler's Reich is on the verge of extinction. Assaulted by Allied bombs and Soviet shells, ruled by Nazis with nothing to lose, Berlin has become the most dangerous place on earth. John Russell's son Paul is stationed on the Eastern Front with the German Army, awaiting the Soviets' final onslaught. In Berlin, Russell's girlfriend Effi has been living in disguise, helping fugitives to escape from Germany. With a Jewish orphan to care for, she's trying to outlast the Nazis. 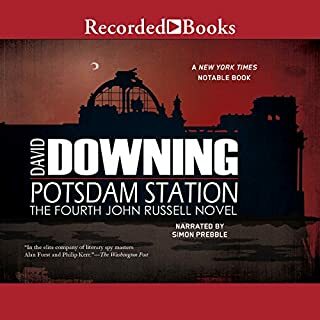 In the fall of 1941, Anglo-American journalist John Russell is still living in Berlin, tied to the increasingly alien city by his love for two Berliners: his fourteen-year-old son Paul and his longtime girlfriend Effi. 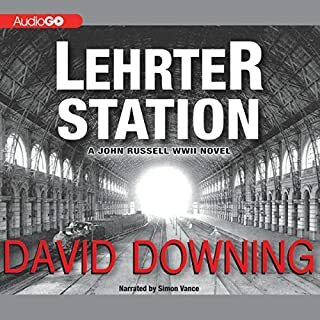 Forced to work for both German and American intelligence, he's searching for a way out of Germany. Can he escape and take Effi with him? It is 1913, and those who follow the news closely can see the world is teetering on the brink of war. 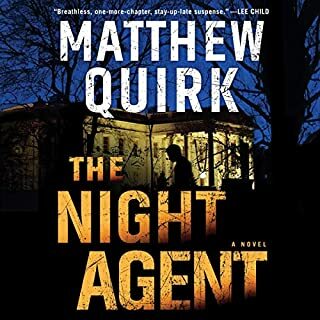 Jack McColl, a Scottish car salesman with an uncanny ear for languages, has always hoped to make a job for himself as a spy. 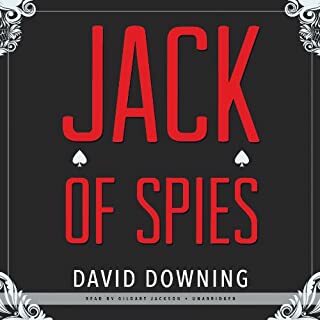 As his sales calls take him from city to great city - Hong Kong to Shanghai to San Francisco to New York - he moonlights collecting intelligence for His Majesty's Navy, but British espionage is in its infancy and Jack has nothing but a shoestring budget and the very tenuous protection of a boss in faraway London. London, 1921: Ex-Secret Service spy Jack McColl is in prison serving time for assaulting a cop. McColl has been embittered by the Great War. He can't stomach spying for the British Empire anymore. He's also heartbroken. The love of his life, radical journalist Caitlin Hanley, parted ways with him three years earlier so she could offer her services to the Communist revolution in Moscow. 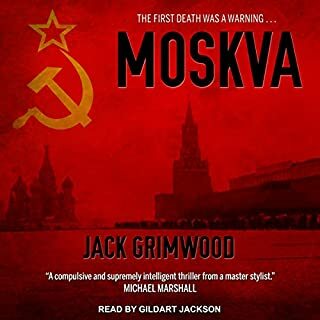 Then his former Secret Service boss offers McColl the chance to escape his jail sentence if he takes a dangerous and unofficial assignment in Russia, where McColl is already a wanted man. Anglo-American journalist John Russell lives in Berlin and is approached to do some work for the Soviets. He reluctantly agrees and soon becomes involved in other dangerous activities, like helping a Jewish family and an idealistic American reporter. When the British and the Nazis notice his involvement with the Soviets, Russell is dragged into the world of warring intelligence services. 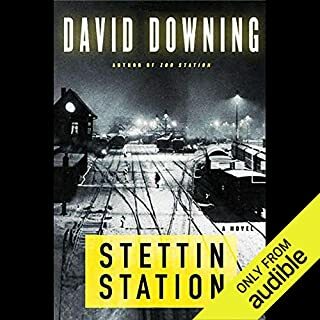 The third Jack McColl espionage thriller by David Downing (also the author of the WWII Station series) brings together two lovers in Bolshevik Russia. 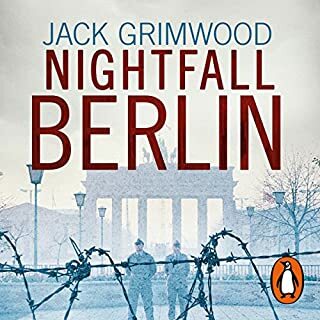 Winter 1917: As a generation of Europe's young men perish on the Eastern and Western fronts, British spy Jack McColl is assigned a sabotage mission deep in Central Asia, where German influence is strong. As he quickly realizes, the mission only becomes more dangerous the closer he gets to its heart. Paris, November 1945: John Russell is walking home along the banks of the Seine on a cold and misty evening when Soviet agent Yevgeny Shchepkin falls into step alongside him. 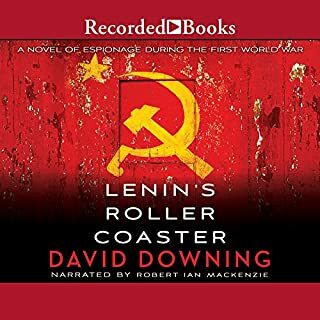 Shchepkin tells Russell that the American intelligence will soon be asking him to undertake some low grade espionage on their behalf - assessing the strains between different sections of the German Communist Party - and that Shchepkin's own bosses in Moscow want him to accept the task and pass his findings on to them. Why did Simon Prebble not finish the series! 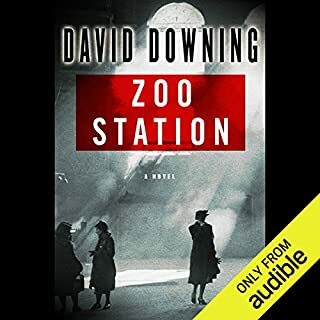 With the end of the Second World War in sight, the Allies begin to divide up the spoils and it proves to be a dangerous game. The British have become aware that, contrary to what's been agreed, the Soviet Union is intent on controlling Austria once the Second World War ends. And Major Edgar is given the job of establishing an espionage unit in Vienna. He sends in a married Swiss couple - Rolf Eder and Katharina Hoch - who, in fact, have only met each other a week before their journey. Their job is to track down Austria's most respected politician and bring him over to the British cause. Philip Kerr crafts a thrilling chapter from his critically acclaimed Bernie Gunther series. 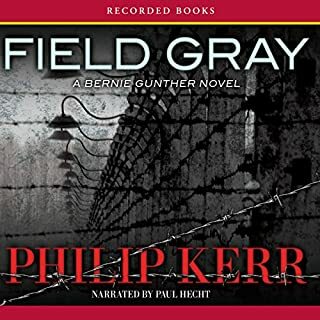 In Field Gray, Bernie finds himself imprisoned in 1954—and told he can either work for French intelligence or he can hang. Accepting his new job, Bernie begins interviewing POWs returning from Germany. And things get interesting when he meets a French war criminal and member of the French SS who has been posing as a German Wehrmacht officer. 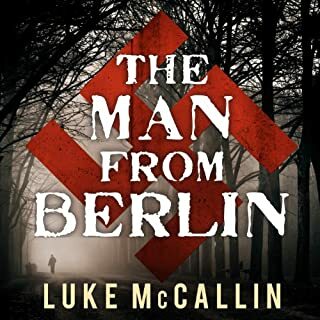 Bernie Gunther had his first brush with evil as a policeman in 1930s Berlin and came to know it intimately as a private eye under the Nazis, when each case drew him deeper into the enormities of the regime. 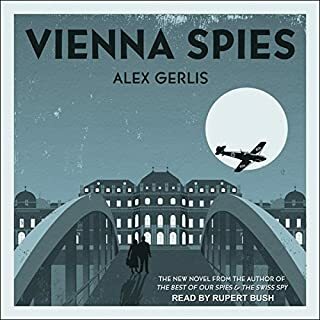 Now the war is over and Gunther's in Vienna, trying to clear an old friend of the murder of an American officer. John Becker is hot on the trail of Hitler's fatal weakness. The Gestapo is closing in. On foot, by train, even on water, Becker is running and gunning for his life...and for the world. Hitler's Third Reich is rearming and planning for war. Churchill wants to stop him, but only Becker's report can reverse the British mood of appeasement. 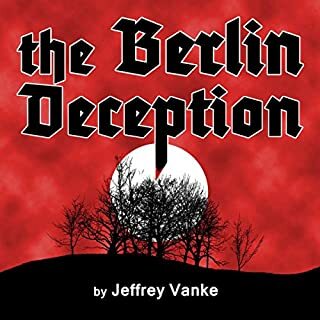 Cornered by the Gestapo, desperate to save his German collaborator Maria, Becker has mere days to ward off double disaster. Summer, 1939. British journalist John Russell has just been granted American citizenship in exchange for agreeing to work for American intelligence when his girlfriend, Effi, is arrested by the Gestapo. Russell hoped his new nationality would let him safely stay in Berlin with Effi and his son, but now he's being blackmailed. To free Effi, he must agree to work for the Nazis. They know he has Soviet connections and want him to pass them false intelligence. Russell consents, but secretly offers his services to the Soviets instead - not for anything too dangerous, though, and only if they'll sneak him and Effi out of Germany if necessary. It's a good plan, but soon things become complicated. A Jewish girl has vanished, and Russell feels compelled to search for her. 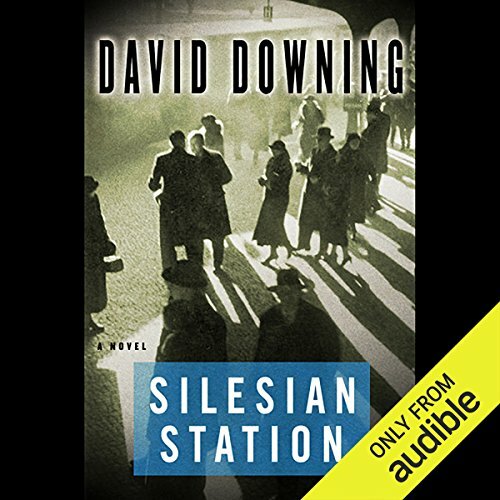 A woman from his past, a communist, reappears, insisting he help her reconnect with the Soviets, who turn out to demand more than Russell hoped. Meanwhile, Europe lurches toward war, and he must follow the latest stories - to places where American espionage assignments await him. 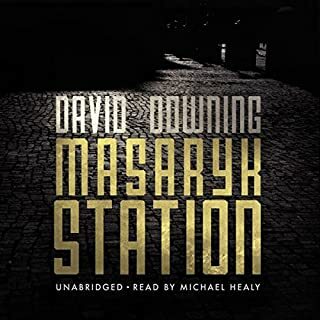 ©2008 David Downing (P)2009 Audible, Inc. 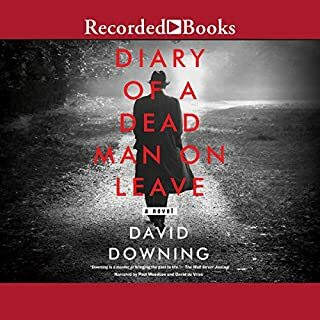 Worked my way very slowly through this audio book. Definitely not my favourite, there were a lot of slow parts and rather confusing trips that Russell took through multiple countries for his alleged spy work (that never really seems to result in anything), and then it all ended with a far too convenient and daring nighttime raid on an SS brothel to rescue a Jewish girl he had never seen before but somehow knew was there. Oh, and that storyline never really got wrapped up, neither did the part about his friend and fellow communist who killed her husband? It was not the best to listen by audio book, for one, when this was a confusing book to begin with. Despite the absence of much detail to its historical context, the story stood on its own merit and really was quite thrilling. Indeed, the only reason I give it four as opposed to five stars, is because the backdrop of Nazi Germany is not well developed. Very interesting. Part of a series I’ve just discovered. Just finished this part 2. One feels it’s a construct to recreate ordinary life under the evolving and maturing Nazi regime. 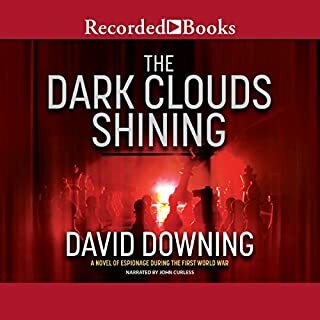 The “journalist turned spy” stories (several sub plots) do stretch credibility a bit but the meticulous recreation of the dark clouds of Nazi Germany looming over Jews foreigners and dissenters with a few communists thrown in more than makes up. Another minor criticism is the over indulgence in food cafes and restaurant descriptions (and hotel rooms! And baths!)) but again the minute detail makes you feel it’s worth it. 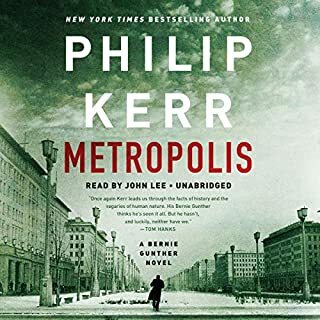 The author must have memorized every street and building in pre war Berlin. Really liked the forays into Slovakia Prague Moscow and Silesia (had to look up that history). Some aspects are incredibly sad. Not much violence interestingly. (Yet anyway). Great book! Really kept me listening! This book contains great historical knowledge. It weaves a storyline through that historical realty which kept me wanting more! I will buy the next book in this series! My only suggestion to the author is to find a way to weave a woman's perspective into he romance part. The romance is a bit direct and devoid of the interplay women desire for an intriguing alluring experience. No offense to the author who is excellent. I have found this is a typical issue plaguing most male authors. An ending that made sense. This was a great story until the 10th chapter & then the story just cratered. It ended with no logical end of the plot. 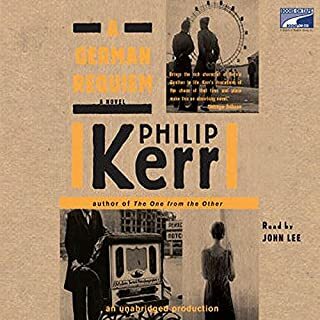 His girlfriend is left in October 1939 Berlin, along with his 12 yr old son; a potential but undeveloped female relationship is left there too, along with the story's name sake, with her situation unresolved. We are left with him staring at the ruins of a the named character's farm house in ruins. What!!!! That's it? Never. Is he another James Patterson? Did he write this thing himself? He was fine. The story was the problem, not him. Don't buy this book until the author finishes it. very good but wish i had read the first one. not sure if I will continue to find out what happens since I have so many others I want to listen to. but still a good book.